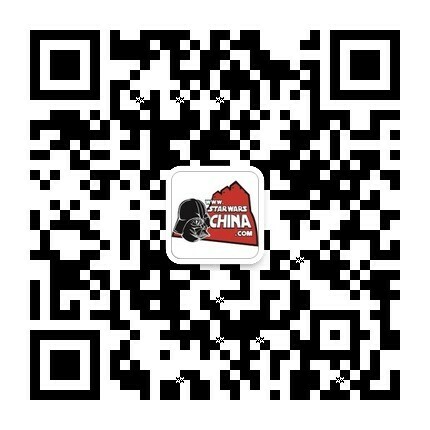 ﻿﻿ 遇战疯人（Yuuzhan Vong） - Databank - 星球大战中文网 Star Wars China - Powered by Discuz! Fearsome invaders from another galaxy, the Yuuzhan Vong are the greatest threat faced by the New Republic since the collapse of the Empire. The Yuuzhan Vong are singular in their goal of conquering this galaxy filled with infidels, and transforming it into the new Yuuzhan Vong home, as dictated by their gods. They will sacrifice anything for their religious beliefs, and many worlds have been sundered in their crusade. 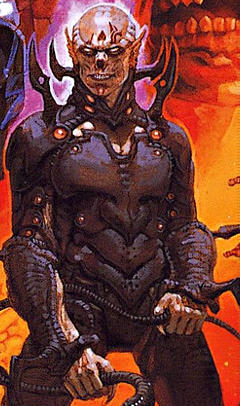 The Yuuzhan Vong have a physical appearance quite similar to baseline humanity. They have thicker builds, and less hair atop their heads, and their custom of ritual mutilation helps obscure all but the most superficial resemblances to humans. The Yuuzhan Vong glorify pain not only as a motive for action, but as a state of living. In much the same way as the Yuuzhan Vong gods resculpted themselves to create their galaxy, the Yuuzhan Vong too alter their bodies for greater purpose. The higher a social rank a Yuuzhan Vong achieves, the more his body is modified. Yuuzhan Vong skin is a mottling of scarring and sweeping tattoos, and those of lofty elevation even graft creature or bioengineered body parts onto themselves. Yuuzhan Vong organize themselves into castes, strictly defined segments of society complete with distinct religious and social mandates. One of the most populous castes is that of the warrior. The brutal aliens greatly revere combat and pain, thus the warrior caste is believed by many to be the most favored of the gods. The vast military forces of the Yuuzhan Vong consist of frontline warriors led by subalterns, who ultimately are commanded by the warmaster. The intendant caste works to keep Yuuzhan Vong society functioning. It handles matters of commerce, bureaucracy, trade and the management of the sizable slave work force employed by the Yuuzhan Vong. Intendent ranks include executor, consul, prefect and high prefect. The priest caste wields considerable power in this rigidly theocratic society. The members of the priest caste are said to have direct communication with the pantheon of gods that rule the Yuuzhan Vong. There exists several sects, each for the worship of a Yuuzhan Vong deity. Ranks within the priest caste include savants, seers, and high priests and priestesses. The shaper castes are the keepers of the intricate biotechnology employed by the Yuuzhan Vong. Together with the priests, the shapers observe arcane rituals in the development and implementation of organic technology. The shapers rank very highly in Yuuzhan Vong society, and their ranks include adepts and master shapers. The largest yet lowliest of the Yuuzhan Vong castes are the workers. They consists of three types: those who have have failed to succeed in another caste; those born into the worker caste; those who have been conquered. Slaves and the so-called Shamed Ones (fallen members of society) are technically part of the worker castes, but even they are looked upon disdainfully by their fellow workers. It is the worker caste who performs the menial yet essential tasks of Yuuzhan Vong society, from garbage collectors to personal attendants. The most exclusive of Yuuzhan Vong castes has only a membership of one: the Supreme Overlord. This is the ruler of the Yuuzhan Vong, and he has supreme religious and secular authority over the invading people. Though the priests may commune with the various Yuuzhan Vong deities, only the Supreme Overlord has a direct connection to the Creator, Yun-Yuuzhan. The current rank-holder is Supreme Overlord Shimrra. Yuuzhan Vong technology is bizarre and perverse, though it is nonetheless effective. The aliens grow their technology organically. All their devices are bioengineered lifeforms, grown and shaped to fit their needs. 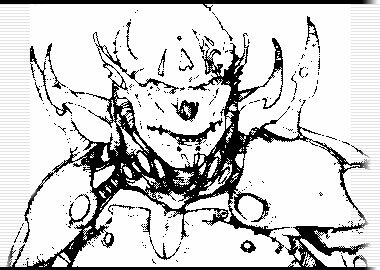 The Yuuzhan Vong view inorganic technology -- machinery, devices and especially droids -- as an abomination and affront to their gods. Among the devices used by the Yuuzhan Vong are amphistaffs, serpentine whips which can harden into rock-hard staves, or flatten to razor-sharp edges. Also used in combat are thudbugs, small thrown insects that detonate on impact. The Yuuzhan Vong wear vonduun crab armor, a living carapace that protects a warrior in combat that can even temporarily withstand blaster strikes and lightsaber blows. As the war against the Republic and the Jedi escalated, the Yuuzhan Vong began engineering new weaponry specific to their hated foes: such as the vicious voxyn creature that can relentlessly hunt down Jedi Knights. Yuuzhan Vong starships are also living entities. Built of strong yorik coral, these vessels employ creatures called dovin basals for propulsion and defense. The dovin basals can manipulate gravity, and can project miniature black holes that deflect or absorb incoming enemy fire. The Yuuzhan Vong invasion began insidiously, with secret agents sent to gather information about the galaxy. Sheathed in ooglith masquers, a body-wide outer skin that disguises the Yuuzhan Vong's true identity, these spies infiltrated key New Republic installations and political hotspots. The Yuuzhan Vong executor, Nom Anor, was a political firebrand, stirring up trouble in the Outer Rim and sowing discord in the New Republic. His inflammatory actions precipitated a full-scale invasion that began on the distant world of Belkaden and in the Helska system. From these points, their path of destruction has spread, even targeting the very heart of the galaxy. Luke Skywalker's order of Jedi Knights have clashed with the Yuuzhan Vong time and again. Inexplicably, the Yuuzhan Vong are not part of the Force. Their presences do not register in the ubiquitous energy field, and they are immune to Force attacks. Furthermore, the Yuuzhan Vong refuse to acknowledge its existence, attributing Jedi feats to some perverse mechanism embraced by the Jedi infidels. The course of action to take with the Yuuzhan Vong has split the Jedi ranks. Some, like the hotheaded Kyp Durron, believe it is the Jedi mandate to vanquish the would-be conquerors. Luke Skywalker and others feel that such aggressive actions are against Jedi principles. Nonetheless, several key Jedi -- including Corran Horn and Jacen Solo -- have scored important wins against the Yuuzhan Vong. In retaliation, the aliens have asked the battle-weary Republic to capture and deliver as many Jedi as possible, in return for a cease of hostility. Despite heavy losses, the Yuuzhan Vong managed to conquer Coruscant, striking a deathblow to the New Republic. Now, Supreme Overlord Shimrra counts Coruscant, renamed Yuuzhan'tar, as his throne world and plots to continue his conquest of the galaxy. The outcome of this terrible conflict is still unknown, and many valiant Republic heroes have fallen to the Yuuzhan Vong violence. A key to victory has yet to appear, but the Jedi and the remnants of New Republic -- now the Galactic Alliance -- are working tirelessly to find a way to defeat this foe. 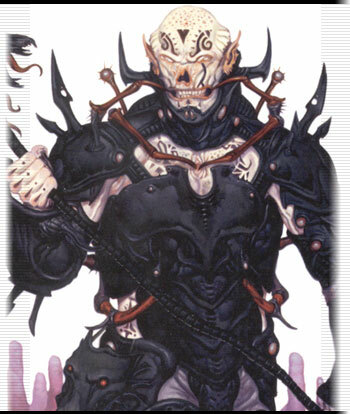 The Yuuzhan Vong were developed as the centerpiece threat for The New Jedi Order publishing program. Editors from LucasBooks and Del Rey, together with several authors helped design an alien menace worthy of the New Republic heroes. Time and again Luke, Han, Leia and the others had saved the galaxy, escaping unscathed. This time, though, would be different. In a bold and controversial move, the first novel of the series, Vector Prime by R.A. Salvatore, clearly showed that this new enemy meant business. By tale's end, one of the classic heroes, Chewbacca the Wookiee, was a casualty of this new war.